A video created by Erica Danek who was on our 2016 Switchback Challenge Adventure. We’re probably all familiar with the famous song, “Bohemian Rhapsody”, written by Freddy Mercury for the British rock band Queen. In music, a rhapsody features a wide range of highly contrasted moods, color and tonality. What a fitting way to title our new 12-day European Adventure – a “Bohemian Rhapsody” on motorcycles. 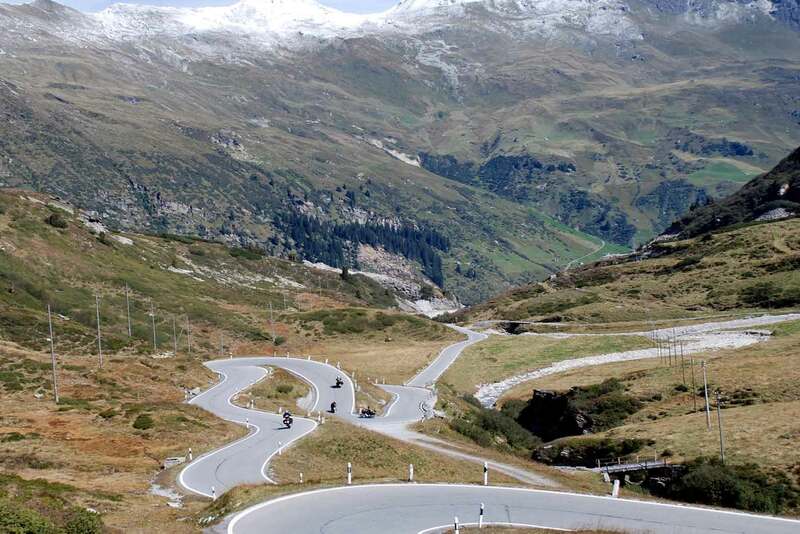 The Adventure features a combination of 8 different countries, all situated around one of Europe’s most beautiful motorcycling destinations – Austria. 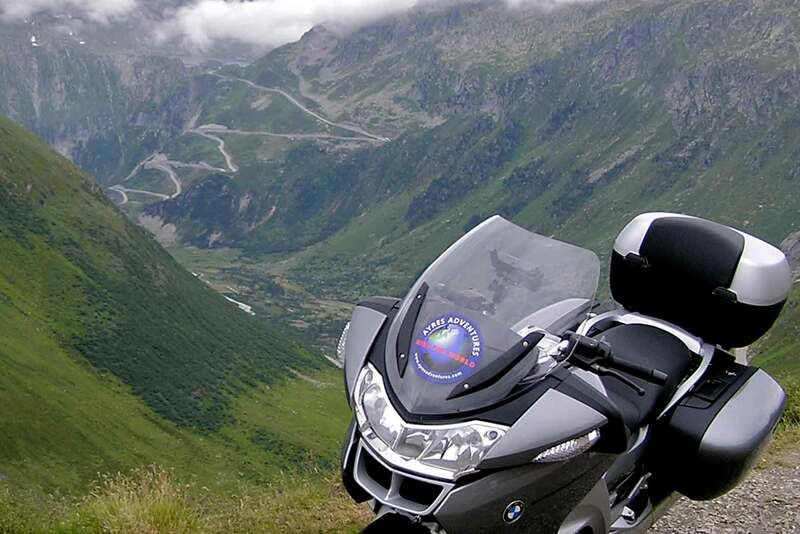 Riders will enjoy stunning roads, first class hotels and cultural highlights of Germany, Austria, Czech Republic, Slovenia, Hungary, Italy, Switzerland and Liechtenstein! 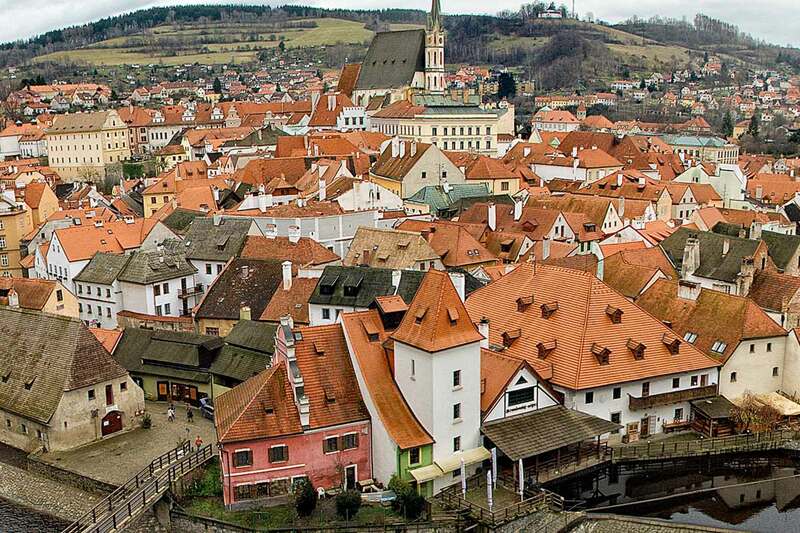 Starting out from Munich, Germany, we travel the scenic roads along the Danube River to medieval Cesky Krumlov – a World Heritage Site. We spend two nights in Austria’s capital of Vienna and enjoy a walk around the city or an optional boat ride to Bratislava (Slovakia). 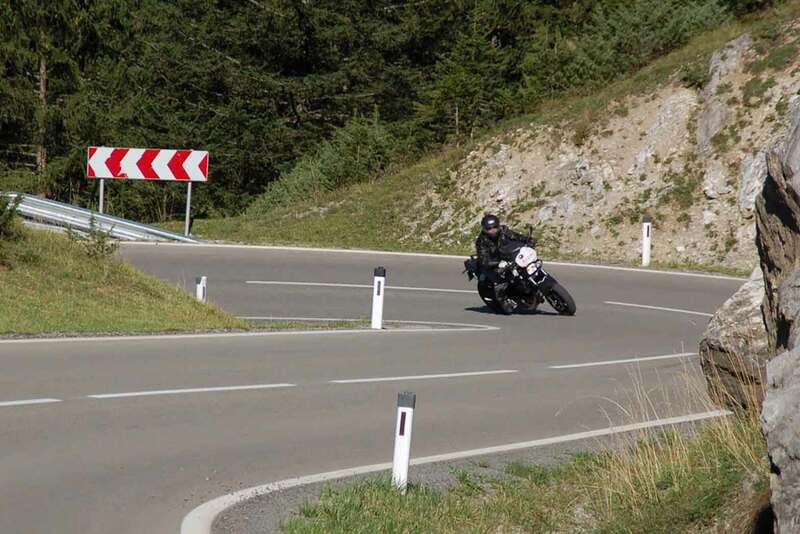 We continue through Hungary to Maribor (Slovenia) and take the twisty and scenic roads back into Austria – only to dive into the most impressive alpine scenery of Northern Italy’s Dolomites. 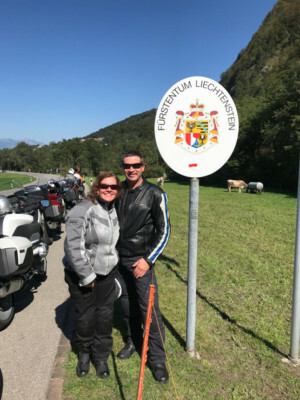 Two nights in Bolzano give us time to learn more about this beautiful town – or about the surrounding pass roads with their countless twisties! Our destination in St. Moritz is a very nice 4* hotel in the city center, followed by a rustic luxury 4+* hotel in Warth, Austria. Passing by the famous King Ludwig Castle we leave the Alps and arrive back in Munich – Bavaria’s beer capital. Welcome to the “beer capital of Germany”! On the official arrival day we will pick you up from the airport and transfer you to the hotel. 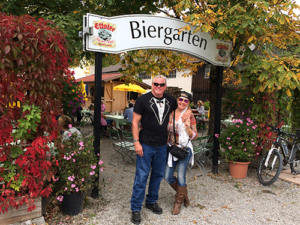 Walk around and try out one of the famous Bavarian beergardens, before we meet for the motorcycle handover in the later afternoon. Riders arriving early can visit the BMW museum, a close by beer garden or do some sightseeing in downtown Munich. We’ll have a kickoff meeting in the evening, followed by our first dinner together! 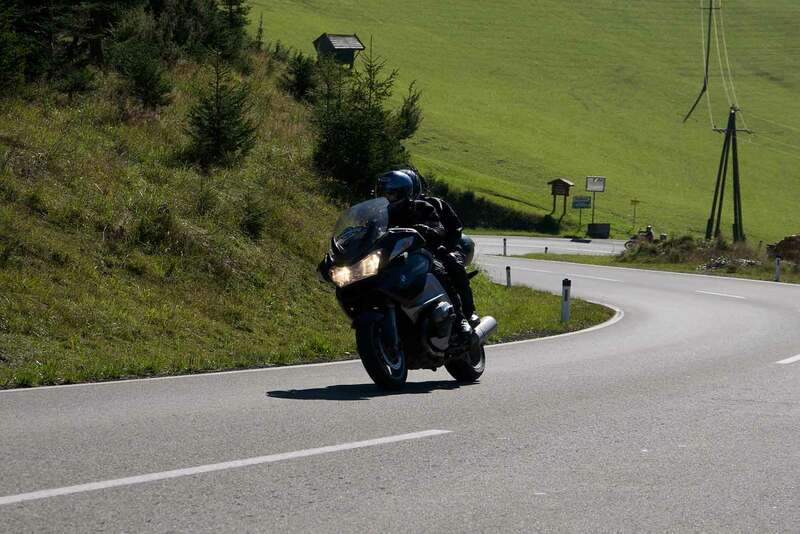 Ride through northeast Bavaria and the Bavarian Forest National Park into Austria and the Czech Republic. Small country roads carry us through the forested hills of Germany’s first national park and the very south of the Czech Republic. In the late afternoon there is time for a walk through medieval Cesky Krumlov (UNESCO World Heritage Site), before we have dinner like the knights 700 years ago! Highlights: Eagle’s Nest, Austrian Lakes (Salzkammmergut), scenic roads and glass factories around the german – czech border; historical city of Cesky Krumlov. The beautiful roads of Austria carry us east to the capital Vienna. Culture, coffee and world famous pastry are waiting for us! Highlights: The Danube River, Vienna. Take a boat ride on the River Danube into Slovenia to visit the city of Bratislava, or enjoy Vienna strolling around and hanging out in street cafés and restaurants. On the way we will have coffee in Hungary and lunch in Austria – Maribor’s 5 star Hotel Habakuk spoils us in the evening with a huge range of wellness programs! Highlights: Hungary, Lake Neusiedel, Slovenia. 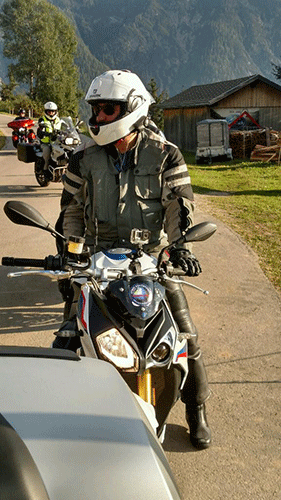 We leave Slovenia and dive into alpine scenery through the scenic Lesach Valley. The hotel is an original alpine style place with the whole range of Austrian charm. Highlights: River Drava, Wörthersee (Lake Wörth), Lesachtal. Continuing south to the Italian region of South Tyrol you’ll be stunned by the beauty of the Dolomite Mountains. The Dolomites are characterized by rugged cliffs and sharp needle like mountain tops. This area is a Motorcyclists paradise. 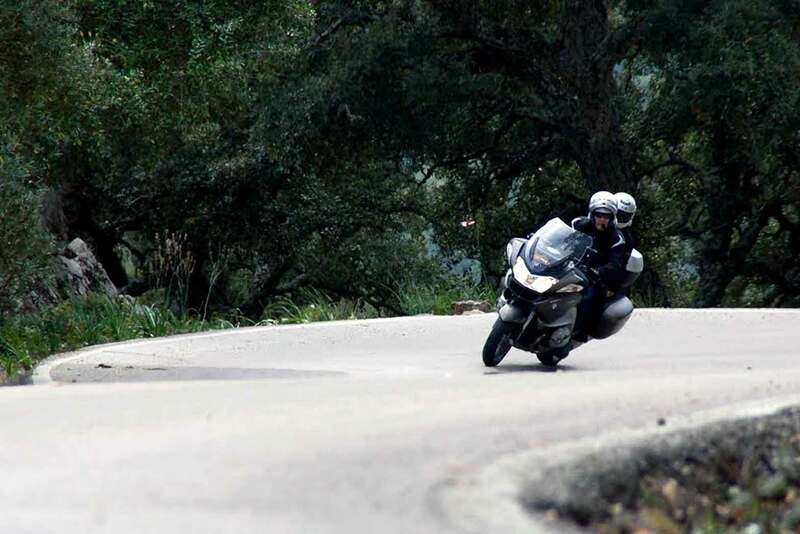 Countless mountain passes offer endless options for a very special day. Stopping for cappuccinos and Pizza along the way we get a feel for the Italian way of life. 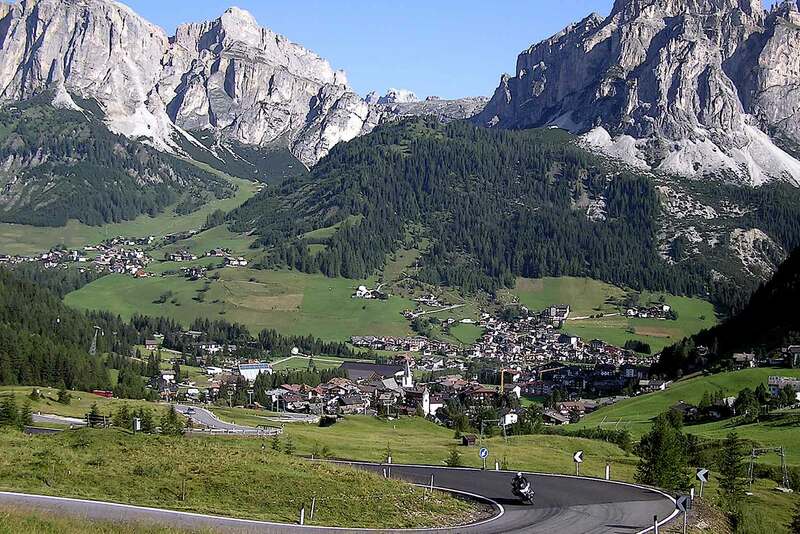 The capital of the state – Bolzano – is our final destination – only a few miles away from the next pass road. This day is designed as a rest day in the city of Bolzano – or Bozen as the German speaking part of the population calls it. The town features museums, café houses and shopping. 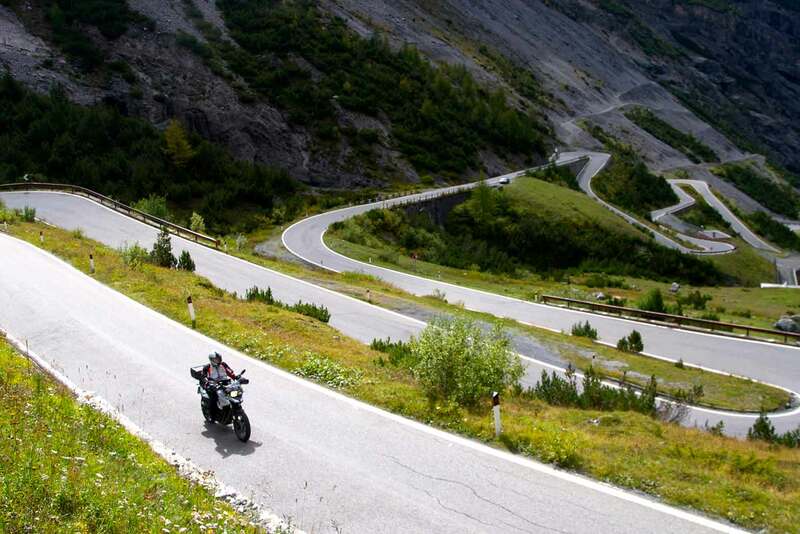 However, we will offer a ride back into the majestic Dolomites – may it be a half or a full day – the decision is all yours. This is a day filled with so many highlights that this can only be a brief overview. We will start the day by climbing the mountains surrounding Bolzano to warm up for whats there to come. 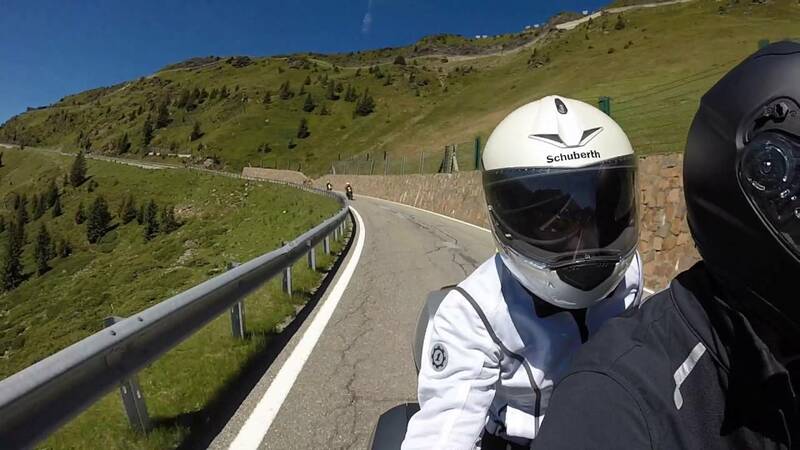 Cruising through the apple orchards and vineyards in the south we start with one of the best motorcycle roads there are – the Mendel pass from where we pick the small side roads through this alpine paradise. 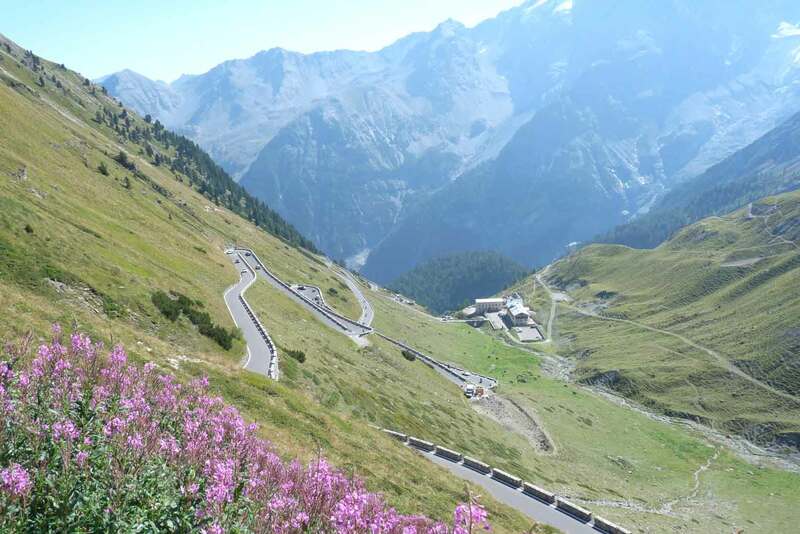 After a relaxed ride along the river in the Val di Sol it is getting serious – the Gavia pass impresses with high alpine vistas and one of the narrowest asphalt roads you might ever see. 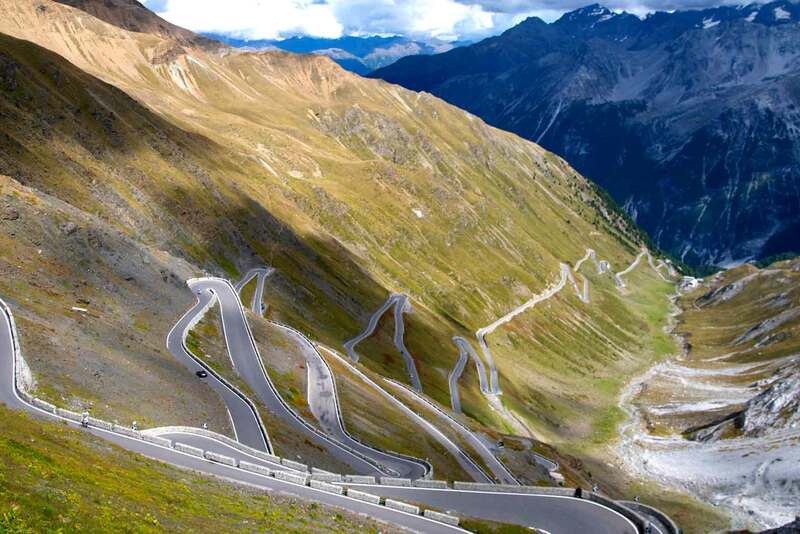 Being 8,589 ft high it is only topped by the second highest alpine passes and a legacy on it’s own the mighty Stelvio pass at 2748m – our next destination. Taking a photo from the top down it’s 48 numbered switchback turns is a highlight by it self and a must for every vivid motorcycle traveller. 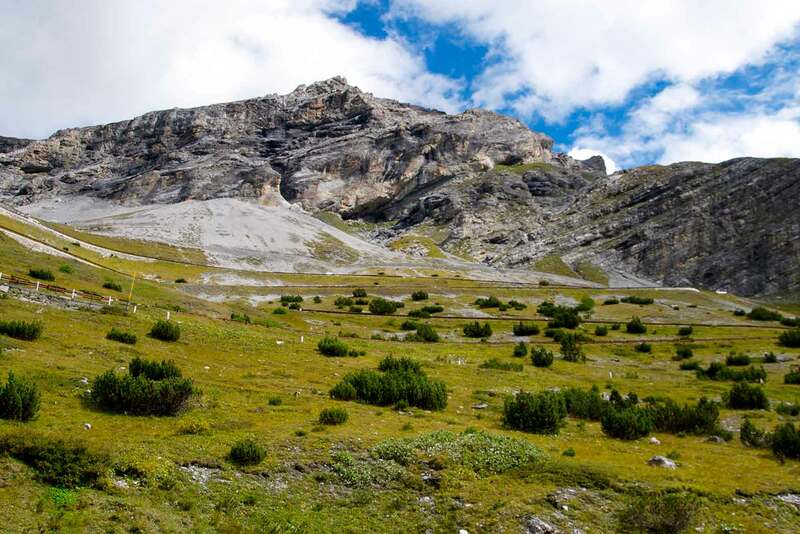 From here we continue down the Umbrail pass only to climb up again – the Ofen pass is a welcome change with it’s wide sweeping turns and goes right through a national park. Our final destination for the day is the lively village of Sankt Moritz – well known by avid skiers and a famous swiss mountain retreat. We made it. Leaving Switzerland we cross Liechtenstein, one of the smallest European countries and climb back up into Austria; the colorful village of Warth welcomes us with another alpine style hotel in the middle of the mountains. 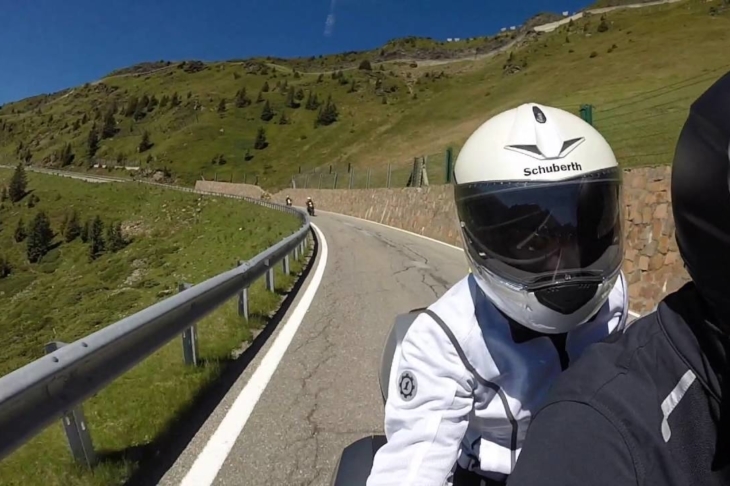 Highlights: Julierpass, Albulapass, Flüelapass, Liechtenstein, Furkajoch, Bregenzerwald. 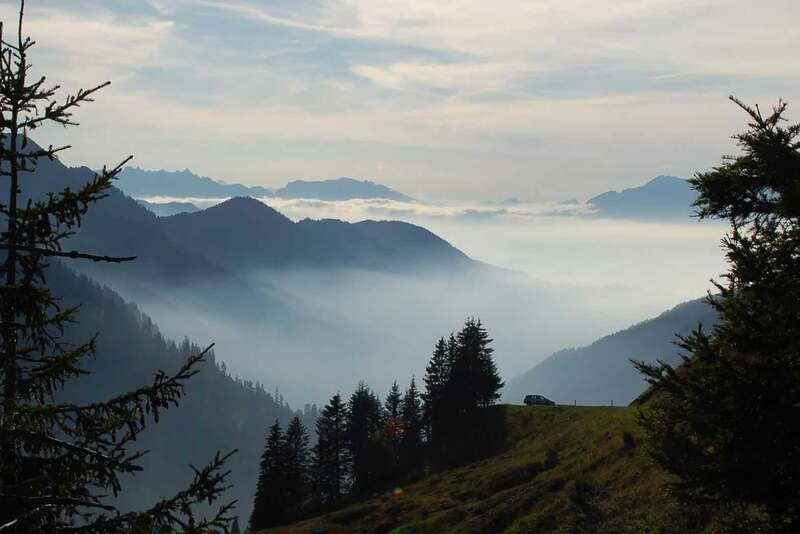 After some long rides during the last two days we are looking at a more relaxed day as we leave the high mountains behind – but not before we show you some of the most fabulous scenery you’ll ever get a chance to ride through. 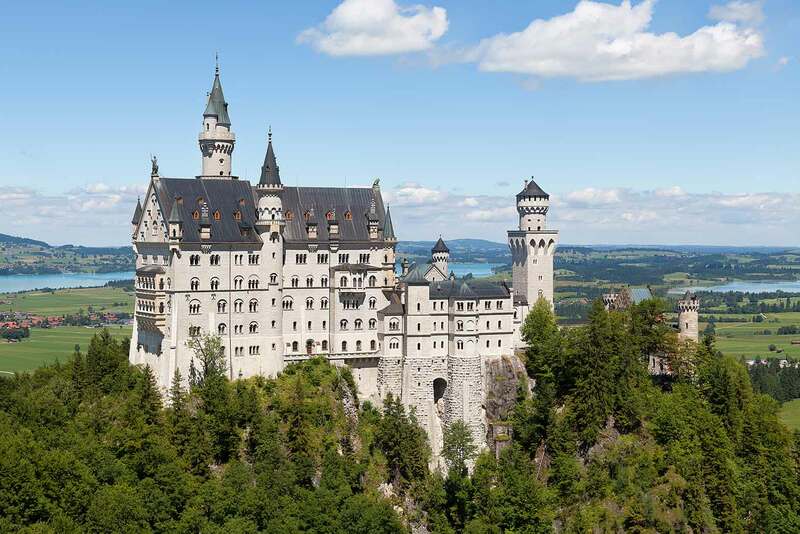 Cruising along lake shores in the upper Bavarian lake country once more, we have a chance to visit the famous King’s Castles in Bavaria – “Neuschwanstein” or “Linderhof”. Built in the late 19th Century by “mad” King Ludwig of Bavaria, they are a perfect example of the European Romantic style and definitely worth a quick stop. 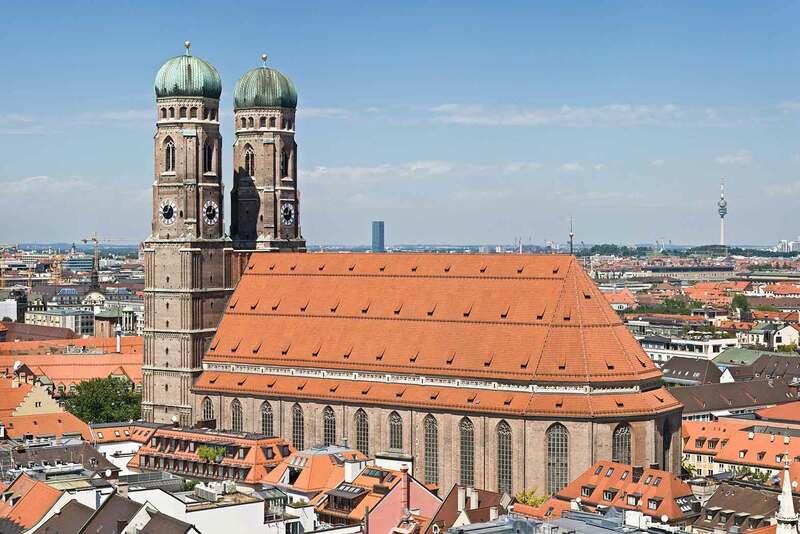 Continuing through the upper Bavarian lake country we will approach Munich in the early afternoon – leaving enough time to visit Munich and enjoy another famous meal and a well deserved cold beer. Highlights: Castle Neuschwanstein, Castle Linderhof, Lake Kochel, Munich. Breakfast and airport transfers. We hope to see you on another Adventure soon. Everyone sets up a “trip of a lifetime” and when they get back and they’re asked how it was, they are able to list each and every part of the trip that did not live up to their prior expectations. We have traveled a lot, on our own and with groups. I can honestly say that this trip with your company, was our trip of a lifetime. And to a person within our group, and especially Leslie and I, it lived up to every one of our expectations, ideas and intentions. The whole experience, from us deciding to go with you as the tour company, to the set up, to the actual trip, was outstanding. The hotels you chose for the rest stops, the routes, the bikes, the challenges and the rewards were truly a trip to remember. I honestly did not hear while we were there, or since we got back, a negative comment about any aspect of the trip. What you can take as the ultimate compliment to your organization, is that on the last night before we ended, each rider separately came up to me and “jokingly” asked if we could just keep going. Most times, you’re ready to end the trip. This was not most times. What really made the trip memorable and special to us was, without a doubt, Claus and Axel. You could not have put two better guides with our group... The “Boyz" as we called them, handled each and every person and situation with great skill and without getting anyone in a snit…Thanks for putting them with us... The best compliment I can give is that they both felt like friends at the end and we all miss them both. As further proof that we had a great time, we hadn’t even left Germany and everyone was coming up and asking when we can do this again and where. The entire group is getting together next Saturday for dinner and to relive the trip. I’ll let them know we’ve started to talk about the next great adventure. A most exhilarating riding experience and cultural journey! Our experience with Ayres Adventures was fantastic. They presented the trip honestly... ours was the “Bohemian Rhapsody” tour for advanced riders. The trip’s design ratcheted up daily such that our acclimation to the technicality of the roads and traffic patterns of Europe were manageable. 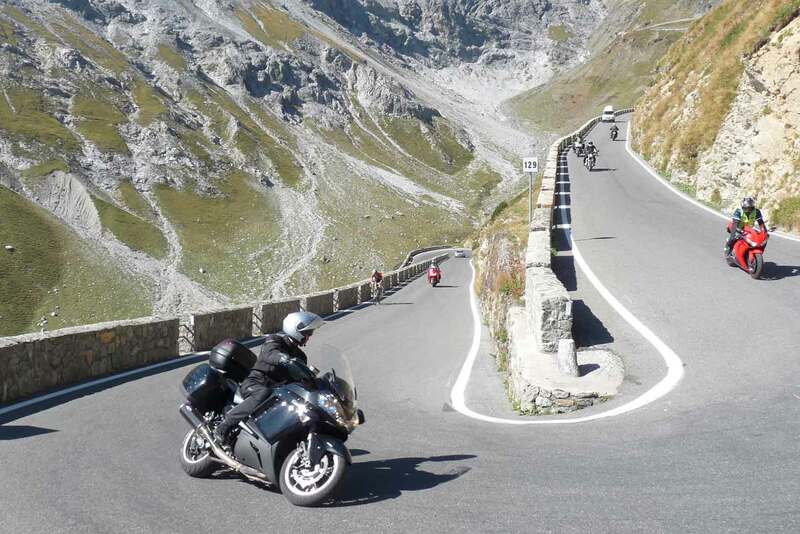 When presented with “Passo Stelvio” we were prepared and rode the challenge with smiles on our faces! A most exhilarating riding experience and cultural journey! We will be back for another tour for sure! 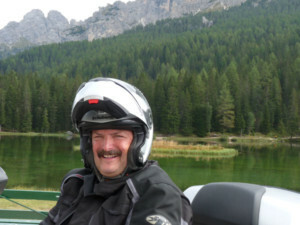 Our tour leaders were most professional, and fun to travel, ride and live with, for the 10 days. Super, super, super! Ayres made our trip of a lifetime a true trip of a lifetime. Everything was first class all the way. Our guides were the best, we could not have asked for anything better. We went as a group, came back better friends that when we left. Thank you for meeting and exceeding all of our expectations. We will remember this trip forever. Almost 2 weeks in motorcycle heaven! We had a fantastic time on Ayres ‘Bohemian Rhapsody ‘ tour of Europe and the Alps. We had a fantastic time on Ayres ‘Bohemian Rhapsody ‘ tour of Europe and the Alps. The accommodations were very good and the guides were excellent. You will see roads and views you would never see if you were riding without the guides. The trip was as good or better then advertised. I highly recommend Ayers Adventures for a motorcycle trip outside your home country. They do all the planing and you get a worry free riding adventure. The riding, accommodations, food and tour guides are all top notch! 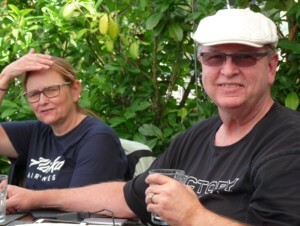 My wife and I have been on four tours through 13 countries with Ayres and are always eager for more. The riding, accommodations, food and tour guides are all top notch and get my highest recommendation for anyone interested in this type of motorcycle travel. I feel personally grateful to Ron Ayres for creating this unique and exciting set of opportunities and to the professional and committed tour guides and leadership that have continued the tradition of excellence he founded. Keep up the good work!